Dean Coe is the author of the Chesterton Series, children’s picture books that feature an ever-curious and good natured Cape Cod weasel named Chesterton. Earlier books include Chesterton Keeps His Town Jumping, Chesterton Saves the Whale, Chesterton’s Scary Breakfast and Chesterton’s Winter Rescue. His latest book launched 11/26/17, Chesterton Saves The Bunnies, is a story about the once threatened New England cottontail rabbit. Coe’s books have been illustrated by former Sandwich High School students Robyn Whaples and Sasha Rudyakov. Formerly a principal of his own executive recruiting firm, Coe invested 30 years navigating corporate cultures. Now, an avid kayaker, he navigates Cape Cod estuaries and leads narrated kayaking tours through the Sandwich marsh. A ‘self taught’ naturalist, his books introduce young readers to life on the marsh and woodlands of the Cape and New England through the adventures of Chesterton, an intuitive and good-natured weasel. Dean has been a member of the Cape Cod Writers Center, and the Society of Childrens Writers and Illustrators. 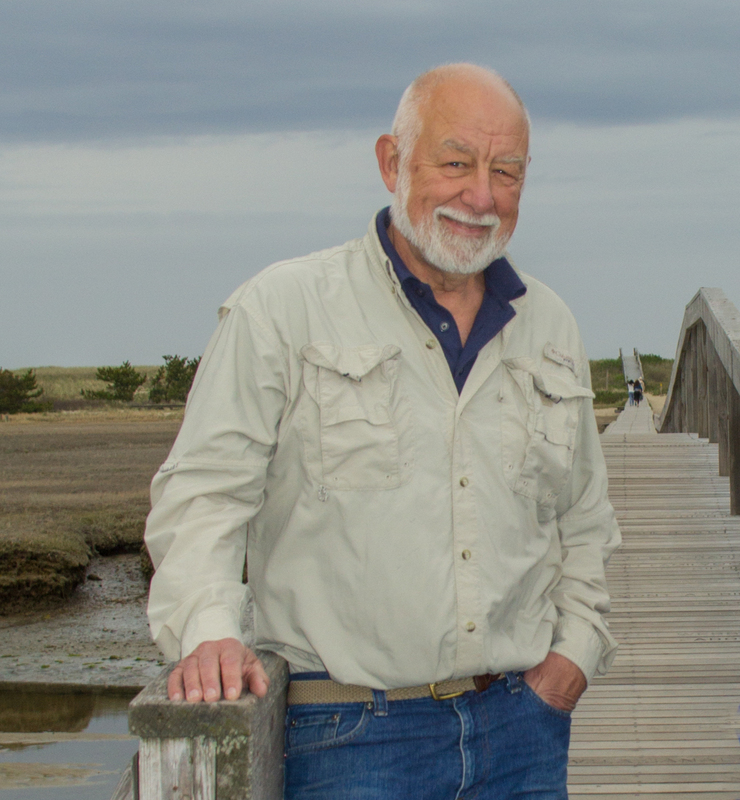 A former Trustee of the Sandwich Public Library, he currently serves as a Director of the Thornton Burgess Society and Green Briar Nature Center and The Cape Cod Museum of Natural History. A grandfather of four, he has lived in Sandwich, Cape Cod’s oldest town since 1983. Your name was given to me by a mutual connection, Ms. Kate Conway. I visited Cape Cod with my husband in May 2016 (and in May 2015 with a friend) and fell in love with the place. I met Kate and Kathryn at the Hyannis Harbour and started chatting with them. Kate mentioned she had a friend that rented a cottage right on the waters edge near Sandwich, and at a reasonable price as well. I was immediately interested. It took me almost two years to follow up but I thought I would touch base with you to see if I could obtain more details.